The bill wasn't heard today as expected. The Assembly held a third reading of the bill on June 18th. Co-author ASM Gonzalez added an amendment for Medical Exemptions for siblings. #SB277 goes to the full Assembly Floor for final vote next week. This is STILL a bad bill! Here's the Truth about Medical Exemptions by Barbara Loe Fisher of NVIC. YOUR URGENT ACTION REQUIRED IMMEDIATELY. It's D Day in CA! STORM the Assembly district offices! 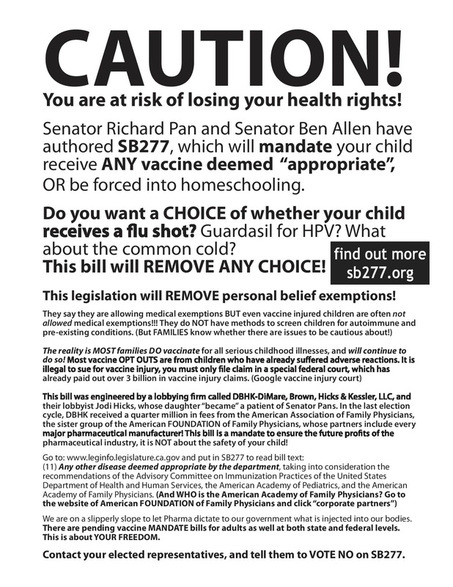 SB 277 URGENT CALL TO ACTION!!! THIS IS THE MOST IMPORTANT THING YOU CAN DO TO STOP SB277 FROM BECOMING LAW. Drop everything this weekend--GET THIS DONE--There will not be a second chance! SHOW UP at the district office on Friday. It is URGENT that you SEE them IN PERSON! STEP 1: Call the district office TODAY. Find out where your Assembly member will be this weekend. GO have a FACE TO FACE talk with them! We have Friday, Saturday, and Sunday to accomplish this. ***EVERY Assembly Member voted YES on AB 982 granting 520,000 homeless children a religious exemption! That's more than DOUBLE our PBE numbers! CALL THEM OUT for their HYPOCRISY! 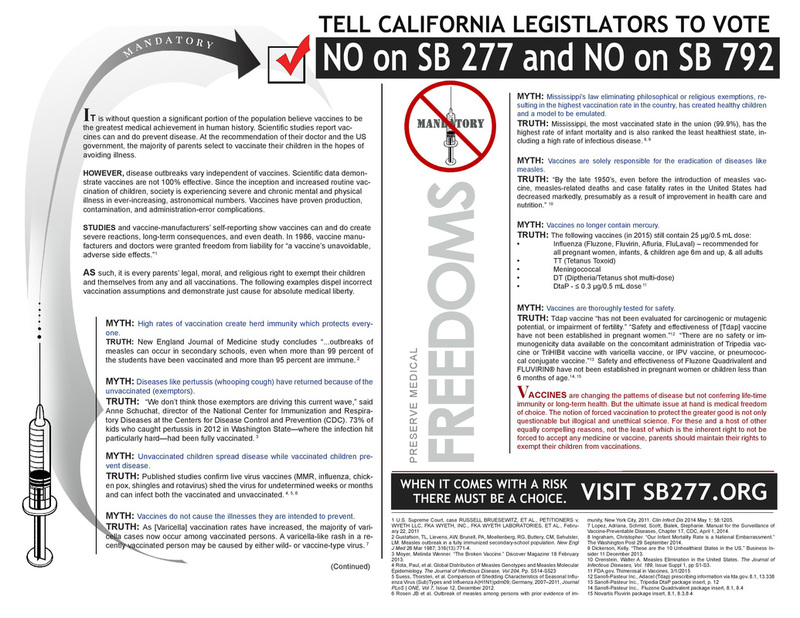 It is CRITICAL that more than 1/3 of the Assembly vote no or abstains on SB277 for Governor Brown to have VETO power! We MUST keep all of the republicans on our side and we MUST swing some of the democrats to at least ABSTAIN! State Advocacy Director Dawn Richardson issued an Action Alert for California citizens immediately after the June 9 hearing on the NVIC Advocacy Portal that electronically connects Portal users with their own Assembly member and Governor Brown. Copy. Paste. Send via email. 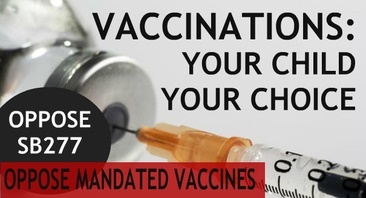 To the FULL ASSEMBLY and VOICE YOUR CONCERN over FORCED VACCINATIONS for CHILDREN AND ADULTS!